As LOTRO celebrates its 10th anniversary, many have decided to share their personal experiences with the game. It’s funny how difficult it can be to summarize the complex relationship you share with your favorite games. As I tried to wrap words around the three (or thereabouts) years that I actively played LOTRO, It became apparent that I would have to organize it into several different sections to adequately segment the different phases I experienced for the purposes of concise communication. 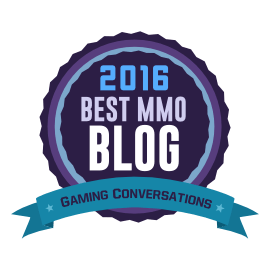 Note: This post was originally written for and published by Contains Moderate Peril in 2014. as it no longer exists on that site, and because I’ve recently started playing ESO again, I thought it would be fun to resurrect the series on my own blog. Enjoy! A question was directed to me on Twitter the other day: “How would you compare ESO to LOTRO?”. I muddled through a response as well as I could, but given the Twitter character limitation and complexity of the topic, I decided to also dedicate an entire post series of posts to it. This specific article will explore the graphics and questing aspects of both games.